This elegant-looking Joomla theme will be your best friend in making your new corporate or business site. It looks professional and modern, it has a clean layout and is very responsive – great start for a new serious website, or just upgrading the existing one. 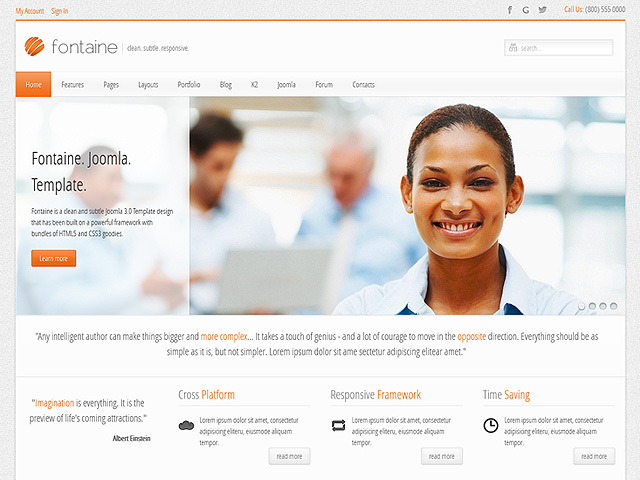 Speaking of upgrading, the Fontaine Joomla template is supported by Joomla 2.5/3.0, which speaks for its great support and futuristic feel. The numerous widgets and shortcodes will make your admin experience seem like a game. 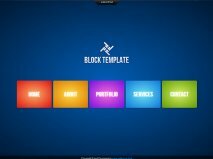 The responsive Joomla theme has 8 readymade color styles, but you can make a unique one, if this is important for you. The 60+ admin options not only make your life easier, but contribute to the overall result by making the site enjoyable and with more interesting widgets. 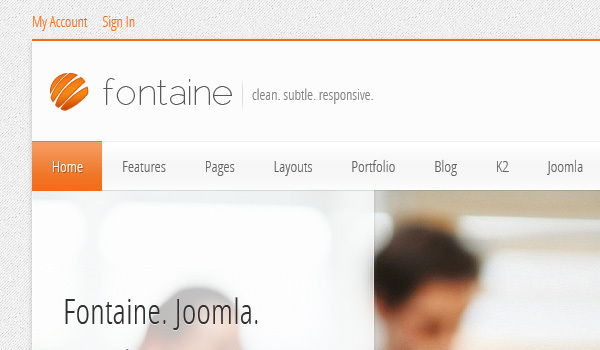 The Fontaine template has more than 50 module positions for better look and flexibility on the style. 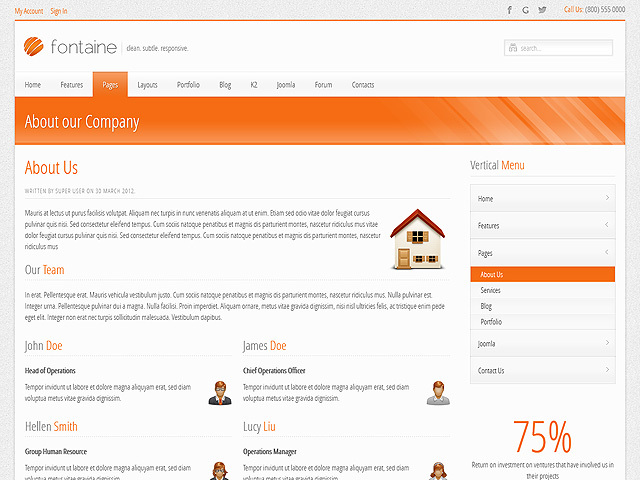 If you opt for a forum-like site, the template gives you the Kunena Forum styling. It is also great for starting your own professional blog for business or personal purposes. This is why the creators have given you Zoo and K2 Blog styling. Flexibility is one of the most important features any site should have. 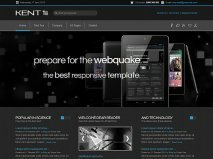 This is why the Fontaine Joomla template is cross-browser compatible and has flexible columns and template widths so people with different devices can view your site in the best way possible. 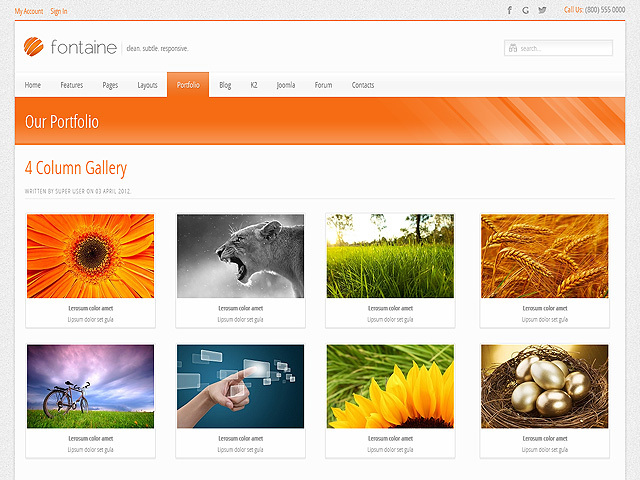 If you want to present your products, there is a Portfolio and Gallery templates, which support up to 5 columns of products. Another cool feature is the fact, that there are 10 pre-made pages, that you can start using by just one click. You can use different layouts for different pages, which allows you to fit many different ideas and themes into one professional website.